Wardrobe doors that slide are fast becoming the latest craze in ireland, why? Its very simple, the boom years produced lots of houses, which means lots of bedrooms, the only problem is, bedrooms are getting smaller! Clothes are getting cheaper which means people need to maximise the little space they have! Storage for your clothes, shoes hats, bags, is a problem. 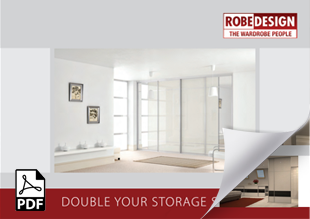 Making the most of your storage is what robedesign are good at, from floor to ceiling, wall to wall, getting the most from your storage space is important. RobeDesign can design your wardrobe doors to suit your style, from mirrors to bring in more light, to a fantactic selection of coloured glass sliding doors. With showrooms in dublin, cork, galway ,donegal,waterford, kildare, limerick,monaghan, and covering the midlands areas of laois, offaly, westmeath, kilkenny, roscommon, longford, mayo, sligo, meath, there is bound to be a showroom near you. With a free home design service, its very easy for you get a designer to call to your home and talk about the possiblities, of your new sliding wardrobe. Let it be a master bedroom,dormer bedroom, small bedroom RobeDesign have done it all before.